Autumn and I just got back from hiking trip in Hocking Hills State Park. I have to say we had a super time. The park is situated in the southeastern region of Ohio, near the town of Logan. 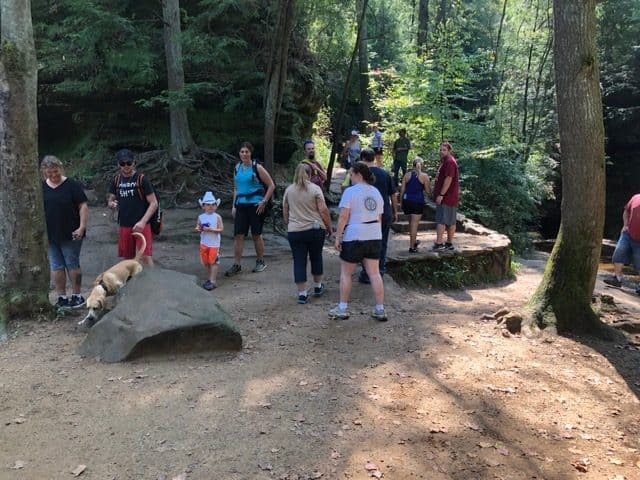 In addition to being dog-friendly, Hocking Hills offers abundant hiking trails and breathtaking sites – cascading waterfalls, towering cliffs, and sandstone caves. 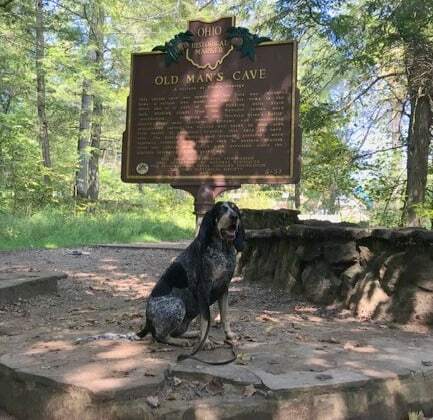 Dogs are welcome in most areas of the park, including the campgrounds. This doesn’t mean we can run freely through the Park. Ohio law requires dogs to be to be under the control of our owners at all times. The Park is a bit more specific, requiring us to be on a 6-foot leash or less. They also require us to wear a County dog license and for our owners to carry up-to-date shot records on us. 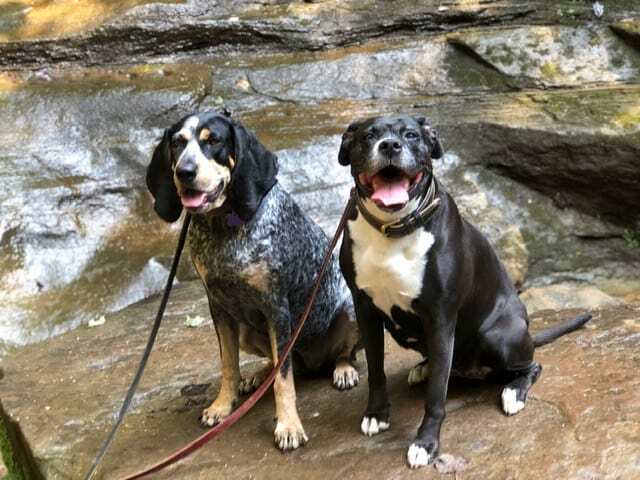 No pets are allowed in state nature preserves, such as Conkles Hollow. Dogs (and people) must remain on the trail and use caution on cliff edges. Trails are narrow at many points at Hocking Hills State Park. 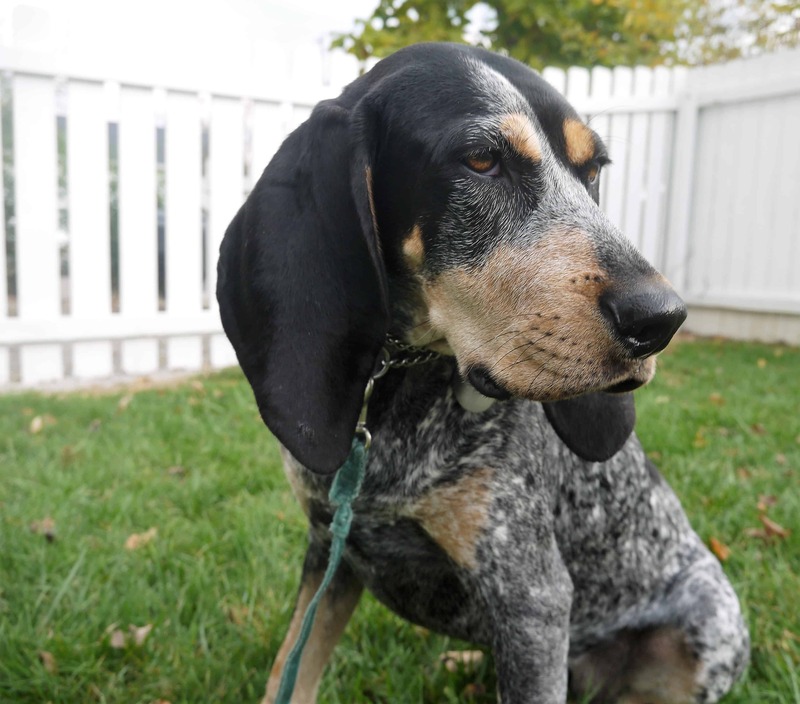 Dogs will need to pass in proximity to people, strollers and other dogs. Make sure your dog is equipped (calm and comfortable) to deal with those situations. 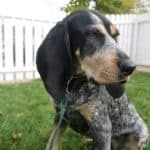 Make sure your dog is in good health as many of the trails are strenuous for people and canines alike. Take it slow if your dog isn’t used to the terrain. While walking the trail I noticed several dogs. In fact, we made several friends along the trails and a couple of them were human. Only one dog wasn’t the friendliest, but his owner made sure he didn’t sniff Autumn or me. There are specific rules for unruly dogs in Hocking Hills. Aggressive dogs (toward people or other dogs) will be asked to leave the park. Ohio Law considers dogs personal property which means our owners are responsible for any damage we may do. So, it really doesn’t make sense to ask for trouble by bringing a dog or people aggressive canine to the Park. Our owners made sure we used our best behavior while in the Park. When the trails were narrow or crowded, Phil and Laura made us move to the side, sit and wait until there was an opening for us. They also made us sit to meet people and invited us to greet these folks by giving the SAY HI command. I screwed up once and nosed a person, but Autumn did great. The Park rule is that people must clean up after and dispose of pet waste properly. Our owners cleaned up after we had a bowel movement. 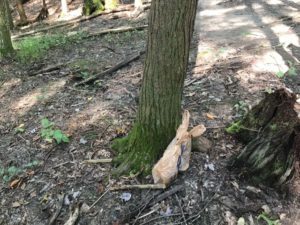 They put the bag on the side of the trail and took it out on of the woods on the way back. We saw a dog eliminate off the trail. His owner just left it there. That was a bummer. I overheard a Park volunteer telling someone that they walk the trails and clean up after people and dogs, but they wished people would be more courteous and take care of their own messes. Autumn and I feel the same. Although it’s hard to remember to behave, we sure got a lot of pets and thank you’s from the hikers. I guess the extra effort was worth it. Now we’re thinking of our next adventure. In the meantime, got to get the owners out for their walk. Did you enjoy reading this blog? Support Acme Canine, Become a Patron! This entry was posted in Dog exercise, Responsible Dog Ownership. Bookmark the permalink.